This article is by Rodney Maddock, Vice Chancellor’s Fellow at Victoria University and Adjunct Professor of Economics at Monash University. It originally appeared on The Conversation. analysis Most media businesses offer a bundled set of products. When you buy the newspaper, or watch free-to-air TV, this is obvious. You pay a fee to buy a newspaper, or the offerings of a channel, some of which you want and some you don’t want, but it all comes together in a package. You can pick and choose some content by switching TV channels or subscribing to more than one newspaper, but your choice is quite limited. Pay TV offers a slightly broader bundle. 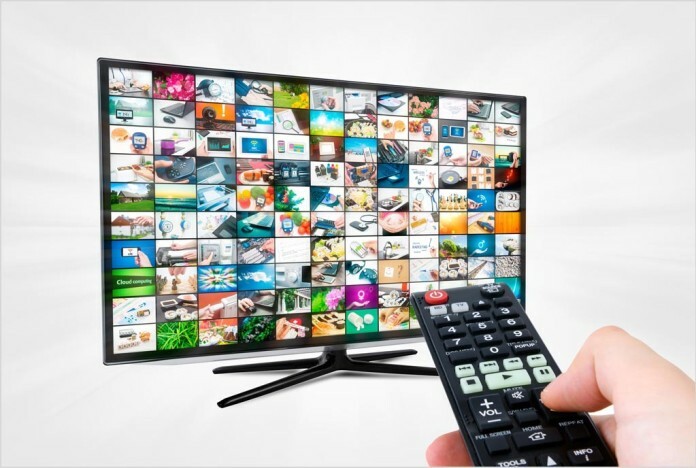 You subscribe to a package from Foxtel and you get access to more channels, and hence can choose between a wider range of content, but it is still a bundled offering. You pay through a subscription rather than by watching advertisements, which makes the business model slightly different, but you are still offered a bundle. The challenge so far has been gradual as technology has allowed consumers progressively more control. Technology has worked to undercut the pre bundled business models: videos allowed people alternatives as to how to be entertained in their homes, time-shifting gave them greater control over when they watched programs, and the web gave them news whenever they wanted. Netflix and similar businesses now have pushed the envelope further. They offer access to a wide range of content cheaply and at the viewers’ preferred time. This is part of a broad movement – web based services are undermining the business models of all the product bundlers, from newspapers onwards. Increasingly we are able to pick and choose the content we want to watch, the time we want to watch it, and to pay just for what we want. Music has gone the furthest down that path. Where does it all end? It seems likely that a range of offerings will survive. Some completely bundled products like newspapers will survive at one end, and some smorgasbord offerings like Netflix and Spotify will be at the other. In between they will probably be a range of partly bundled services of the sort Foxtel offers. Just as restaurants exist which offer a diversity of product mixes so entertainment is likely to finish up in the same place. Businesses will adapt, some will fail. To survive they have to find a mix of price, product offering, and availability which is viable. Sitting in the middle, pay TV however looks particularly vulnerable. It took market share from free-to-air TV because it offered a wider range of advertising-free content, but it’s not clear how big the market is now that it is challenged by offerings which offer still more choice. Free-to-air seems most likely to encroach onto the territory of pay TV. A recent Monash Business Policy Forum paper argues free-to-air providers need to separate their control of the spectrum from their provision of content, selling space on the spectrum to a wider range of content providers – a little like a department store allowing product manufacturers space on their shop floors. With digitisation the spectrum operators have the ability to offer a much wider range of content than they currently do. As free-to air expands, pay TV’s only real option seems to be to cut price and expand options available to customers. Some of this is underway and more is likely. It is a costly strategy. Content providers should be winners. As prices fall and choice widens, there will be a more intense struggle for content which attracts eyeballs. Some will be political and some economic. There will be political pressure to broaden the anti-siphoning rules which require some premium sporting events to be available on free-to-air, allowing them to charge premium advertising rates for major events. And other content which is attractive will command higher prices; good for providers like the AFL or FFA. It also means that programs will have to stand on their own merits, and command a commensurate price. The whole business of cross-subsidies from one program to another will be minimised. Higher prices for content will squeeze the profitability of media companies even further as their programming costs rise while their revenue is under challenge. Such unbundling of media is good for the consumer. Rather than being forced to watch the standard (and parallel) programming of the free-to-air channels, we now are more able to watch what we want when we want it. There will be considerable pressure for media laws to change. The current rules are based around media technologies which are well out of date. We failed to make the necessary changes when we digitised the system but economic forces will now ensure it happens. Rodney Maddock is Vice Chancellor’s Fellow at Victoria University and Adjunct Professor of Economics at Monash University. This article was originally published on The Conversation. Read the original article. “You pay through a subscription rather than by watching advertisements”. Depends really, a lot of Foxtel channels these days are just full of ads, certain ones aren’t such as the Movie channel as I understand it, but a lot of them are. Which means in essence, you are paying for not only the subscription, but being subjected to ads that you shouldn’t see on a subscription service. I dont buy this premise, in my experience, FTA broadcasting in Australia is largely being replaced by streaming services and “downloaded content” simply because the FTA Broadcasters have treated us like mugs for the last 30 years by not sticking to schedules, playing shows out of sequence, chopping shows down to cram in more ad’s and broadcasting incredibly poor quality, low-bitrate video with low rent stereo sound. If House Husbands (Wife’s fav show, honest) was on Netflix we’d literally half our weekly time spent watching FTA TV. This year our FTA viewing was mainly playschool from ABC and even that was mostly via iView! After Uncy Rupe took control of the V8’s and F1 rights this year I no longer even watch sport on FTA, now I find my Motor Sport via “other means”. I don’t understand the distinction between bundled services being made. None of the services mentioned are micro-transactional VoD, thus they’re all essentially variations of bundling. This article seems to boil down to “Let the market decide”, and…well…yeah. We have the ABC for the “unmarket” stuff, so yeah, if the 4 commercial channels (+Fauxtel) can’t cut it, heck yeah, let the market decide (10’s probably rooted regardless unless Fauxtel bails it out).